Images of Chinese gangs traipsing doggedly through the wilderness, or of the itinerant Chinese pedlar or vegetable seller, have become embedded in the folklore of Queensland. 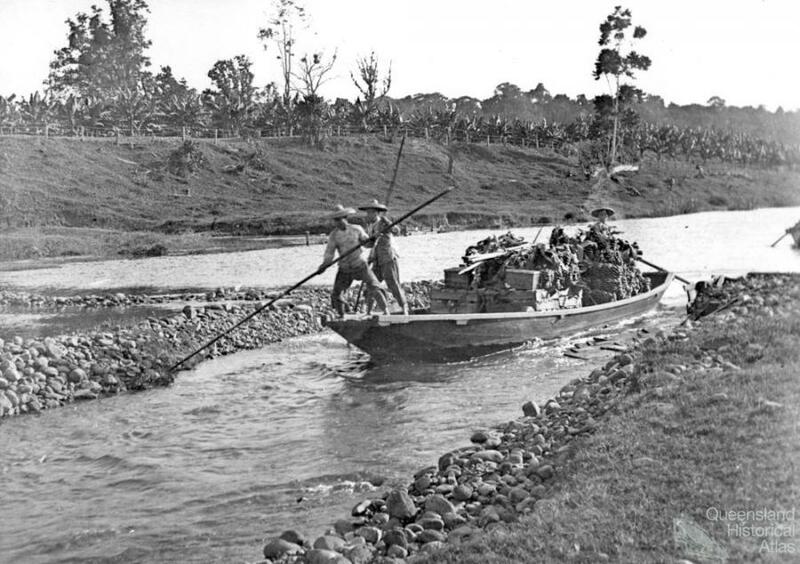 In fact, the Chinese were adept at using all the methods of transport locally available, including coastal and river shipping, railways and roads. For communication and financial transactions, the telegraph, postal and banking systems were commonly utilised. In some instances the Chinese in Queensland relied on the rapidly growing railway network, but they established their own routes and means of movement through the landscape. 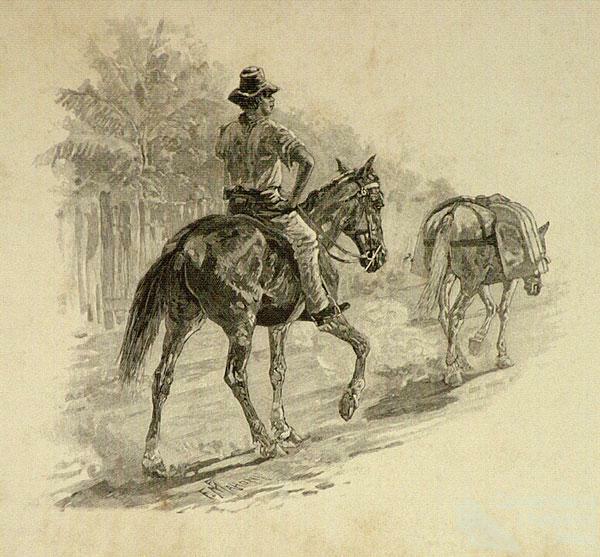 In northern Queensland, for instance, they became well known as carriers, using packhorse teams, bullocks, drays and carts of all kinds. They were also boat builders and owners, and became particularly involved in the operating of fishing and pearling vessels. 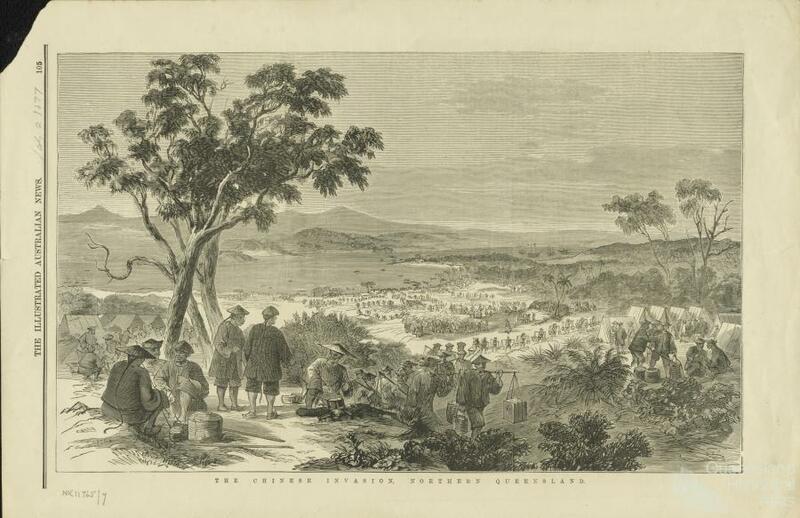 The volatile nature of early Queensland’s frontier economy meant that the Chinese, like everyone else, were often forced to move frequently to pursue new economic opportunities as old ones, such as offered on the gold fields, failed. However, there were additional factors influencing Chinese transience. The notion of sojourning emphasised the goal of making money quickly and returning home. One key feature of Chinese movement within the landscape was the use of social and business ties. These were primarily based on kinship or district of origin, and expressed themselves physically in the form of various special organisations, such as ‘same place’ societies, and networks of stores. These not only sponsored new immigrants and helped them adjust to their new environment, but assisted with the setup of enterprises or the mobilisation of labour, and provided their members with lodgings, information, employment, goods, money and credit. Chinese movement through the landscape therefore occurred in a highly coordinated and supported fashion. Despite the ideology of the sojourn, individual life histories show that the Chinese relationship with the host land was complex and varied. Although many Chinese lived a transient existence, the sojourn itself could last decades, often because of ongoing business commitments but also where a person failed to make enough money and thereby became destitute and stranded. Others developed strong connections with their place of residence. 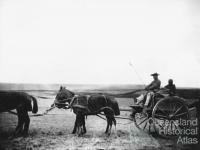 Some were prosperous entrepreneurs and business leaders with the ability and desire to buy property and establish themselves as citizens within the local community. There were those who brought wives out from China or married local women and founded families. Wherever possible, however, these long-term residents maintained contact with their relatives back in China, remitted money and made the occasional visit home. In a sense they were international citizens, with ties and interests in both countries. Ultimately, the bulk of Chinese planned a retirement back in China, and when that time came they wound up their business interests, settled their debts, and took passage. In some cases this meant the break up of families established through marriages to non-Chinese. As testified by the numerous Chinese graves and cemeteries throughout the State, there were people who never made that last voyage because they died in Queensland. Where there was capacity, the local Chinese community marked these resting places with grave stones or memorials. A proportion of the burial sites are now empty as relatives of the deceased later arranged to exhume the remains and send them back to China. Between 1866 and the mid-1910s, Jimmy and Evelina Ah Foo lived a peripatetic lifestyle as publicans in central and north Queensland, moving through Rockhampton, Charters Towers, Palmer River, Springsure, Longreach, and Barcaldine, with their thirteen children. Chinese-born Jimmy Ah Foo (or Affoo) ran a boarding house in Springsure in the 1860s. In 1866, at the age of 23, he married Evelina Vessay, a girl from Lincolnshire, England, at Rockhampton. The couple settled back in Springsure, running the Carriers Arms Hotel and where their children also attended the local school. In 1873 the couple left for the gold fields of Charters Towers and the Palmer River, running hotels there until returning to Springsure in 1877 and building the Springsure Hotel. 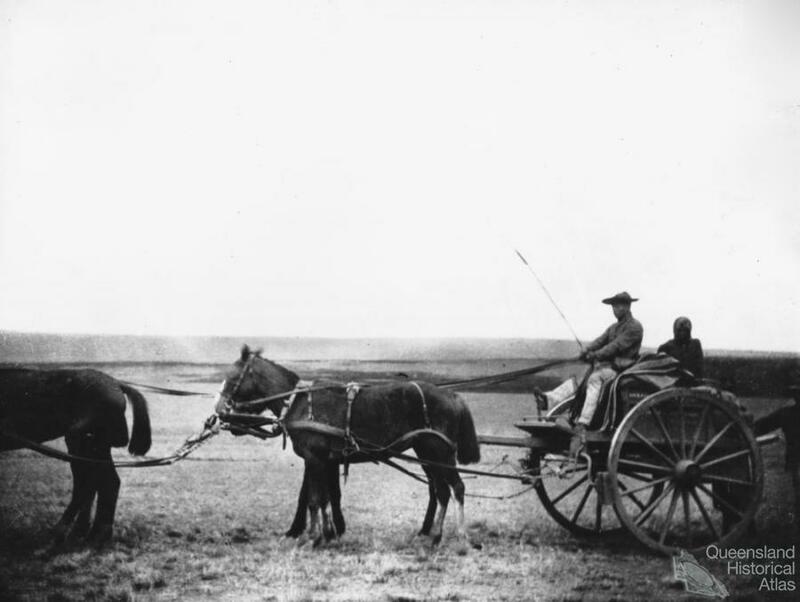 Over the next three decades they continued in the hotel business, moving inland on wagonettes and following the route of the railway as it was progressively built. They resided first at Barcaldine, building another Springsure Hotel, and then Longreach, where they built the Federal Hotel. 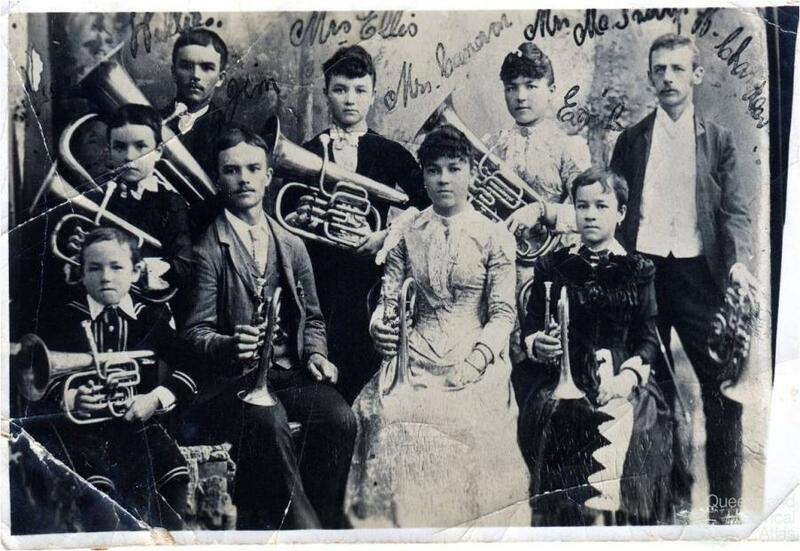 By the 1910s Jimmy and Evelina had a family of thirteen children who were all highly musical and formed the Affoo Family Band which toured the district providing musical entertainment. 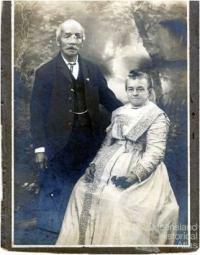 Jimmy was among a minority of Chinese, who, as a naturalised British subject, could and did take out farming selections and bought freehold land. Although he undoubtedly had connections to the local Chinese community, when old age approached Jimmy did not return to China. After a brief and disastrous hotel venture in Rockhampton, the couple retired back to Barcaldine, but soon afterwards returned to Longreach. One final time the family shifted, travelling by rail with all their furniture and belongings. Jimmy died in 1916 and Evelina died in 1918, and both were buried in the Longreach cemetery.